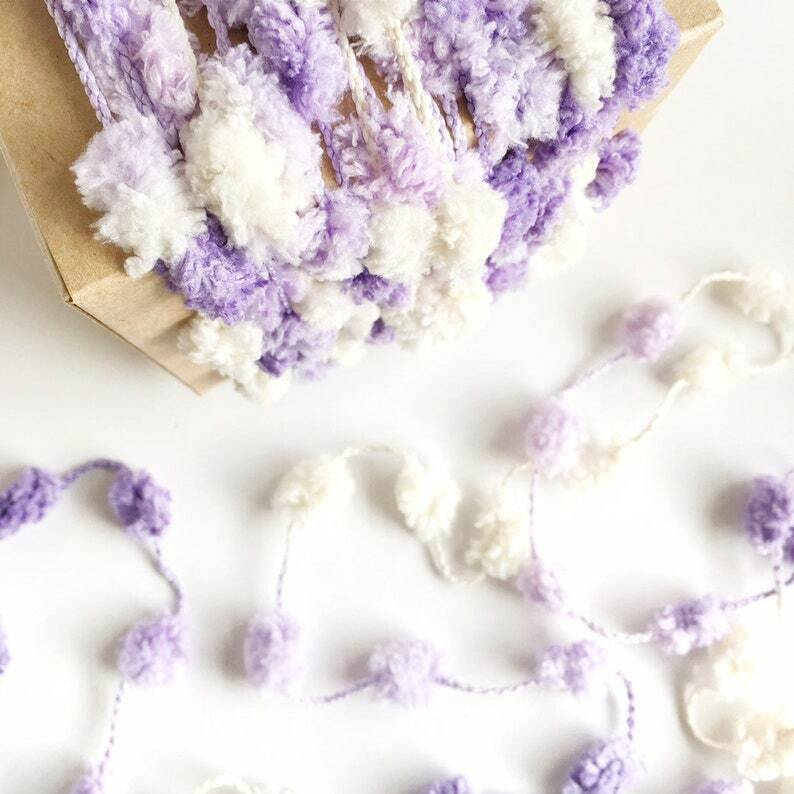 This listing is for 40+ yards of adorable pom pom garland in lovely shades of purple and creamy yellow. This garland is perfect for crafting, embellishments, gift wrapping, party decor, weddings, showers, scrapbooking and more! Each pom pom measures approximately 0.5” inch wide, 0.75” long. NOTE: This is a stock photo of this listing. You will receive garland that looks identical to that pictured. Pom pom garland is pre-packaged and will arrive in individual quantities of 6 yards only. Please allow for color differences on your computer screen.